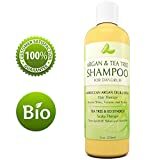 Store Home » Essential Oil Uses » Hair Care Essential Oils » Essential Oils for Oily Hair » Silky Scents EO99-15ML Cedarwood Atlas Essential Oil 100 Percent Pure Therapeutic Grade - 15 ml. This moisturizing shampoo takes your dry tresses from dull and drab to shiny bouncy and voluminous. Our premium blend of essential oils such as argan, jojoba, tea tree lavender and rosemary infuse the hair and scalp with natural moisture that seen as well as felt. Your hair will look shiny and lustrous both up close and at a distance. Beautiful soft and voluminous hair is attainable and this sulfate and paraben free shampoo will help you to get it and to keep it. Apple Seed Oil is nutrient dense and will give your face a clear and clean shine! This all-natural oil is full of rich fatty-acids and antioxidants that will leave your skin smooth and supple. With anti-fungal properties, you can use this oil nightly for clear skin and to rid your face of clogged pores and blackheads. Also, full of collagen, this oil absorbs quickly and rebuilds cells which fights fine lines, scars from acne or other incidents, and sun damage.As this oil hydrates the upper layers of the epidermis, it is deeply nourishing and moisturizing. 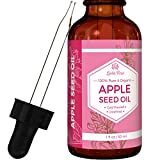 It will leave your skin with a radiant glow.Leven Rose Apple Seed Oil is 100% organic - you never have to worry about parabens, fillers, additives, chemicals, GMOs or any other terrible stuff.Also, Dark amber glass bottle & glass dropper extends the shelf life as oils are light sensitive and must be stored in dark amber bottles to protect them from oxidation. (Pure natural oils that are not packaged in dark bottles will lose potency and become ineffective. )Not sure it's right for you? Leven Rose stands behind their 100% Money Back Guarantee on ALL our products! Email us (we answer all emails!) - we guarantee our oils for the lifetime of the product. Argan Essential Oil Hair Mist is a concentrated hair mist formulated with Argan oil to give hair more volume and moisturizes, as well as providing silky smooth feel and hydrates damaged hair from straighteners, blow dryers, perms, over dying and constant sun exposure.